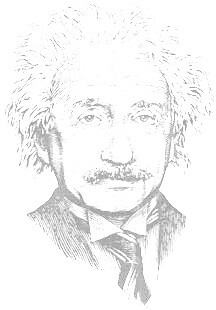 The purpose of this article is to introduce General Relativity to people with basic knowledge of mathematics and physics. Familiarity with the basics of Special Relativity is also required. Talking about General Relativity without getting into higher mathematics is not an easy mission. Much of the theory of GR deals with advanced mathematical issues. One can't cover the main topics of GR without getting into some mathematical issues. I have divided the article to three parts so that the reader can decide how deep he wants to dive into the subject. The first part introduces the principles of GR without any mathematics at all. The second part discusses curved space geometry without getting into the detailed mathematics of it. The third part describes Einstein's field equation and some consequences of it.